Lillian D. Wald (March 10, 1867 – September 1, 1940) was an American nurse, humanitarian and author. She was known for contributions to human rights and was the founder of American community nursing. She founded the Henry Street Settlement and was an early advocate for nursing in schools. After growing up in Ohio and New York, Wald became a nurse. She briefly attended medical school and began to teach community health classes. After founding the Henry Street Settlement, she became an activist for the rights of women and minorities. She campaigned for suffrage and was a supporter of racial integration. She was involved in the founding of the National Association for the Advancement of Colored People (NAACP). Wald died in 1940 at the age of 73. Wald was born into a German-Jewish middle-class family in Cincinnati, Ohio; her father was an optical dealer. In 1878, she moved with her family to Rochester, New York. She attended Miss Cruttenden's English-French Boarding and Day School for Young Ladies. She applied to Vassar College at the age of 16, but the school thought that she was too young. In 1889, she attended New York Hospital's School of Nursing. She graduated from the New York Hospital Training School for Nurses in 1891, then took courses at the Woman's Medical College. Wald worked for a time at the New York Juvenile Asylum (now Children's Village), an orphanage where conditions were poor. 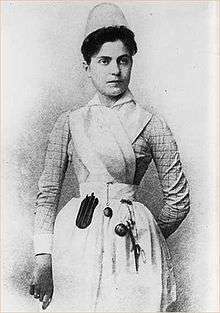 By 1893, she left medical school and started to teach a home class on nursing for poor immigrant families on New York City's Lower East Side at the Hebrew Technical School for Girls. Shortly thereafter, she began to care for sick Lower East Side residents as a visiting nurse. Along with another nurse, Mary Brewster, she moved into a spartan room near her patients, in order to care for them better. Around that time she coined the term "public health nurse" to describe nurses whose work is integrated into the public community. Wald founded the Henry Street Settlement. The organization attracted the attention of prominent Jewish philanthropist Jacob Schiff, who secretly provided Wald the means to more effectively help the "poor Russian Jews" whose care she provided. She had 27 nurses on staff by 1906, and she succeeded in attracting broader financial support from such gentiles as Elizabeth Milbank Anderson. By 1913 the staff had grown to 92 people. The Henry Street Settlement eventually expanded into the Visiting Nurse Service of New York. 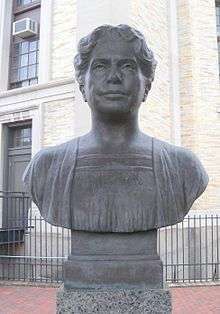 Wald advocated for nursing in public schools, and her ideas led the New York Board of Health to organize the first public nursing system in the world. She was the first president of the National Organization for Public Health Nursing. Wald established a nursing insurance partnership with Metropolitan Life Insurance Company that became a model for many other corporate projects. She suggested a national health insurance plan and helped to found the Columbia University School of Nursing. Wald authored two books relating to her community health work, The House on Henry Street (1911) and Windows on Henry Street (1934). Portrait of Lillian Wald by William Valentine Schevill, National Portrait Gallery in Washington, D.C.
Wald also taught women how to cook and sew, provided recreational activities for families, and was involved in the labor movement. Out of her concern for women's working conditions, she helped to found the Women's Trade Union League in 1903 and later served as a member of the executive committee of the New York City League. In 1910, Wald and several colleagues went on a six-month tour of Hawaii, Japan, China, and Russia, a trip that increased her involvement in worldwide humanitarian issues. In 1915, Wald founded the Henry Street Neighborhood Playhouse. She was an early leader of the Child Labor Committee, which became the National Child Labor Committee (NCLC). The group lobbied for federal child labor laws and promoted childhood education. In the 1920s, the organization proposed an amendment to the U.S. constitution that would have banned child labor. Wald was also concerned about the treatment of African-Americans. As a civil rights activist, she insisted that all Henry Street classes be racially integrated. In 1909, she became a founding member of the National Association for the Advancement of Colored People (NAACP). The organization's first major public conference opened at the Henry Street Settlement. Wald organized New York City campaigns for suffrage, marched to protest the entry of the United States into World War I, joined the Woman's Peace Party and helped to establish the Women's International League for Peace and Freedom. In 1915 she was elected president of the newly formed American Union Against Militarism (AUAM). She remained involved with the AUAM's daughter organizations, the Foreign Policy Organization and the American Civil Liberties Union, after the United States joined the war. Wald never married. She maintained her closest relationships and attachments with women. Correspondence reveals that Wald felt intimate affection for at least two of her companions, homemaking author Mabel Hyde Kittredge and lawyer Helen Arthur. Ultimately, however, Wald was more engaged in her work with Henry Street than in any intimate relationship. In regard to Wald's relationships, author Clare Coss writes that Wald "remained in the end forever elusive. She preferred personal independence, which allowed her to move quickly, travel freely and act boldly." She died of a cerebral hemorrhage on September 1, 1940. A rabbi conducted a memorial service at Henry Street's Neighborhood Playhouse. A private service was also held at Wald's home. A few months later at Carnegie Hall, over 2,000 people gathered at a tribute to Wald that included messages delivered by the president, governor and mayor. She was interred at Mount Hope Cemetery in Rochester. The New York Times named Wald as one of the 12 greatest living American women in 1922 and she later received the Lincoln Medallion for her work as an "Outstanding Citizen of New York." In 1937 a radio broadcast celebrated Wald's 70th birthday, Sara Delano Roosevelt read a letter from her son, President Franklin Roosevelt, in which he praised Wald for her "unselfish labor to promote the happiness and well being of others." Wald was elected to the Hall of Fame for Great Americans in 1970. The Lillian Wald Houses on Avenue D in Manhattan were named for her. ↑ Philips, Deborah (1999). "Healthy Heroines: Sue Barton, Lillian Wald, Lavinia Lloyd Dock and the Henry Street Settlement". Journal of American Studies. 33 (1): 65–82. doi:10.1017/S0021875898006070. ↑ "Elizabeth Milbank Anderson". New York Times. May 25, 1916. p. 16. ↑ Elizabeth Fee and Liping Bu (July 2010). "The Origins of Public Health Nursing: The Henry Street Visiting Nurse Service". American Journal of Public Health. 100 (7): 1206–1207. doi:10.2105/AJPH.2009.186049. PMC 2882394 . PMID 20466947. ↑ "National Child Labor Committee". Women Working, 1800-1930. Harvard University Library Open Collections Program. Retrieved March 8, 2013. ↑ "NAACP: 100 Years of History". naacp.org. Retrieved April 17, 2013. ↑ Marlin, John Tepper. "NAACP, Happy 100th Birthday". Huffington Post. Retrieved April 17, 2013. ↑ Coss, Clare (ed.) (1989). 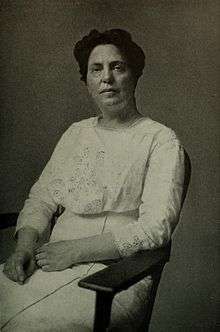 Lillian D. Wald, Progressive Activist. Feminist Press at CUNY. pp. 8–10. ISBN 1558610006. ↑ "AAHN Gravesites of Prominent Nurses: Lillian D. Wald". American Association for the History of Nursing, Inc. Retrieved March 8, 2013. ↑ "The MCA Hall of Fame for Great Americans Collectors Guide". Medal Collectors of America. Retrieved March 8, 2013. ↑ "NYCHA Housing Developments". New York City Housing Authority. Retrieved March 8, 2013. Brody, Seymour. Jewish Heroes & Heroines of America: 150 True Stories of American Jewish Heroism. Floriday: Lifetime Books, Inc., 1996. Coss, Claire. Lillian D. Wald: Progressive Activist. New York: The Feminist Press at CUNY, 1989. Daniels, Doris Groshen. Always a Sister: The Feminism of Lillian D. Wald. New York: The Feminist Press at CUNY, 1995. Duffs, Robert Luther. Lillian Wald, Neighbor and Crusader. New York: The Macmillan Company, 1938. Eiseman, Alberta. Rebels and reformers: Biographies of four Jewish Americans: Uriah Philips Levy, Ernestine L. Rose, Louis D. Brandeis, Lillian D. Wald. Zenith Books, 1976. Wikimedia Commons has media related to Lillian Wald. Finding aid for the Henry Street Settlement records in the Social Welfare History Archives, University of Minnesota Libraries.